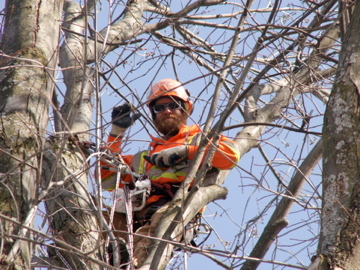 We service Wellington county, Guelph, Hamilton, and Newmarket. The following blog post is just some of the ways we can help you and your landscape. 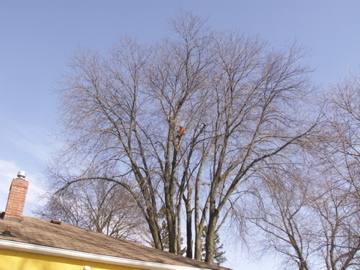 This tree (silver maple) is very large (80ft tall x 60ft spread) and is in good health. 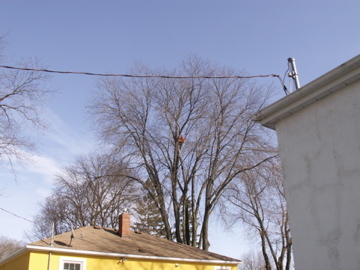 But the limbs are becoming to full at the ends and need to be reduced to ensure the safety of the properties below. A cabling system will be installed to provide addittional support and peace of mind for years to come.